Narrowband interference filters are used to transmit a desired wavelength interval while simultaneously attenuating all other wavelengths in the range of UV (200nm) to IR(1100nm). They find application in a host of fields such as clinical chemistry, environmental testing, colorimetry, elemental and laser line separation, flame photometry, fluorescence, astronomy, etc. 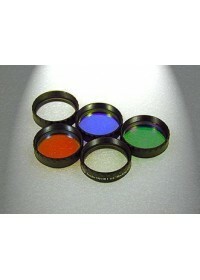 There are very few companies in the world who make these high tech optical components. Narrow band filters are fabricated by using advanced deposition process technology-Ion Assisted Deposition (IAD). 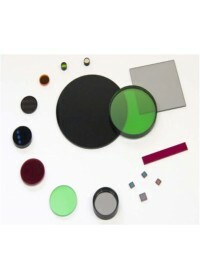 This process produces highly dense, environmentally stable and durable thin films, which prevent drift of filter\'s peak wavelength with age. To improve the pass band energy and increase the attenuation in the blocking band, HHV introduce more cavities into the construction of our band pass filters. 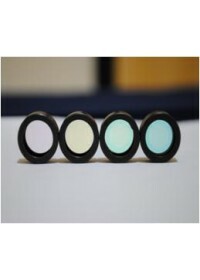 Each filter is hermetically sealed and mounted in a black anodized aluminum ring, to protect them against chipping, scratching, and moisture penetration. These filters have been tested to meet the requirements for environmental and physical durability set forth in specifications such as MIL-C-675C.